Traveling to New York? This is the right spot on the internet to find locations to swim in New York. Every day you are not swimming you're losing precious time to improve your expertise a be a greater swimmer! No more excuses!. Looking for Indoor Pools in New York? Many of them belong to gyms or sport centers which also deliver lessons. Thanks to some new Swimming Pools submitted daily, Swimia.com is escalating everyday the number of stored pools. Please don't hesitate to contact us if you come across any inaccurate or incomplete data. Please make contact with the facilities to check which activities are offering and their timetables. Are you on holiday and want to keep fit and healthy? 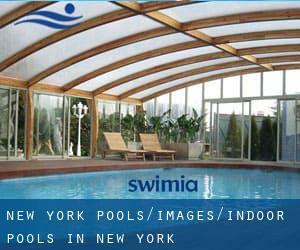 Swimia.com offers you the easy and quickest approach to uncover pool near New York. Please check the nearest Indoor Pools in New York or Contact us to ADD IT. It's free of charge! Let us tell you a secret to switch off when you happen to be in New York City: just select a Swimming Pool in New York City and plunge into the water! There's no even more beneficial system. Swimming is a excellent idea to keep your body active in the course of your visit to Queens (New York), or even for anybody who is a local. Swimia assists you to find your closest Swimming Pool in Queens. It's difficult to visit New York with no dropping by Brooklyn (with 2.300.664 residents). Currently Swimia is showing you all the Swimming Pool in Brooklyn as well as the closest pools located in its vicinity. Updated on 2019 175 Jefferson Road , Rochester Institute of Technology Campus , Rochester , NY , USA (Postal Code: 14623). Among all of the activities offered by the center, if you are considering swimming you may take pleasure in 50 feet x 25 feet, Indoors. Just in case you would like to contact this Swimming Pool just before dropping by, we only know the phone number. Updated on 2019 69 Delaware Ave. , Downtown , Buffalo , NY , USA (Postal Code: 14202). Among all the activities supplied by the center, in case you are enthusiastic about swimming you may enjoy 25 yards, 4 lanes, Indoors. If you need to make contact with this Swimming Pool, email address and phone number are both number. Updated on 2019 6 Puppy Lane , Livonia , NY , USA (Postal Code: 14486). Among all the activities offered by the center, should you be thinking about swimming you will enjoy 25 yards, 6 lanes, Indoors. Just in case you need to contact this Swimming Pool before dropping by, we only know the phone number. Updated on 2019 West Drive , Vestal , Binghamton , NY , USA (Postal Code: 13850). Among all the activities offered by the center, for anyone who is interested in swimming you are going to get pleasure from 35 yards with moveable bulkhead usually set at 25 yards or 25 meters, 6 lanes, Indoors. Updated on 2019 300 Mastic Beach Rd. , Mastic Beach , NY , USA (Postal Code: 11951). Swimmers like you reported 25 meters, 6 lanes, Indoors. Unfortunately we do not have the e-mail address of this Swimming Pool, but we can give you the phone number. Updated on 2019 1000 E. Henrietta Rd. , Brighton , Rochester , NY , USA (Postal Code: 14623). Among all of the activities offered by the center, for anybody who is thinking about swimming you might enjoy 25 yards, 6 lanes, 4 feet-6 feet depth, Indoors. Updated on 2019 Merritt Athletic Center , SUNY Geneseo Campus , Geneseo , NY , USA (Postal Code: 14454). Among all of the activities offered by the center, if you are considering swimming you may take pleasure in 25 yards, 6 lanes, Indoors. Just in case you would like to contact this Swimming Pool just before dropping by, we only know the phone number. Updated on 2019 310 Taughannock Blvd. , Ithaca , NY , USA (Postal Code: 14850). Among all the activities supplied by the center, in case you are enthusiastic about swimming you may enjoy 25 yards, 4 lanes, 4 feet - 4.5f depth, Indoors. Just in case you want to make contact with this Swimming Pool before dropping by, we only know the phone number. Updated on 2019 S. Crooked Hill Rd. , Brentwood , NY , USA (Postal Code: 11717). This great and large sports center lets professional swimmers like you enjoy 25 meters, 8 lanes, 4.5 feet - 13.5 feet depth, Indoors. Additionally, within these facilities you can try 25 meters x ~21 feet, 4 feet depth, Indoors. Unfortunately we do not have the email address of this Swimming Pool, but we can provide you with the phone number. Updated on 2019 3100 E. Genesee St. , Syracuse , NY , USA (Postal Code: 13224). This sports center delivers Olympic size x 60 feet, 8 lanes, Indoors. For this Pool, only phone number is number here. Updated on 2019 1 Central Park West , Columbus Circle , New York , NY , USA (Postal Code: 10019). This sports center provides 55 feet, 2 lanes, Indoors. For this Swimming Pool, only phone number is number here. Updated on 2019 39 Whitehall Street , Financial District , New York , NY , USA (Postal Code: 10004). Among all the activities supplied by the center, in case you are enthusiastic about swimming you may enjoy 60 feet, 2 (wide) lanes, 3 feet - 5 feet depth, Indoors. If you need to make contact with this Swimming Pool, email address and phone number are both number. Updated on 2019 100 Whitehaven Rd. , Grand Island , NY , USA (Postal Code: 14072). This sports center offers 20 yards, Indoors. For this Swimming Pool, only phone number is number here.